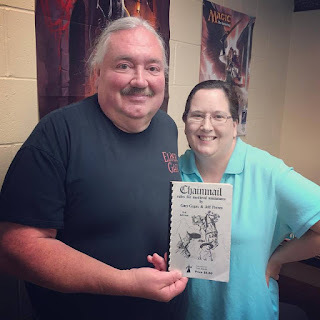 Last Thursday I posted about a game of Chainmail (1971) that happened at Lake Geneva Games recently as a test run for next year's Gary Con IX. 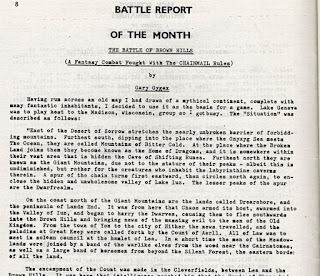 The scenario used was The Battle for the Brown Hills and, being Gary Gygax Day, I thought it might be nifty to look back on a battle report written by Gary on that very scenario. There have been a few blog posts elsewhere about it, so let's revisit those with the first being "The Battle for the Brown Hills: Chainmail Fantasy Rules" over on the Collector's Trove here. 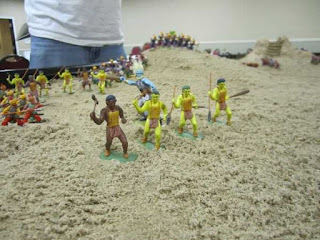 Tons of pictures there from a recent Gary Con using a sand table and the same types of Elastolin 40mm minis Gary would have used back in the day. Also, on neuronphaser.com, there's an article from earlier this year discussing "Gygax’s Legendarium: The Battle of Brown Hills" here. 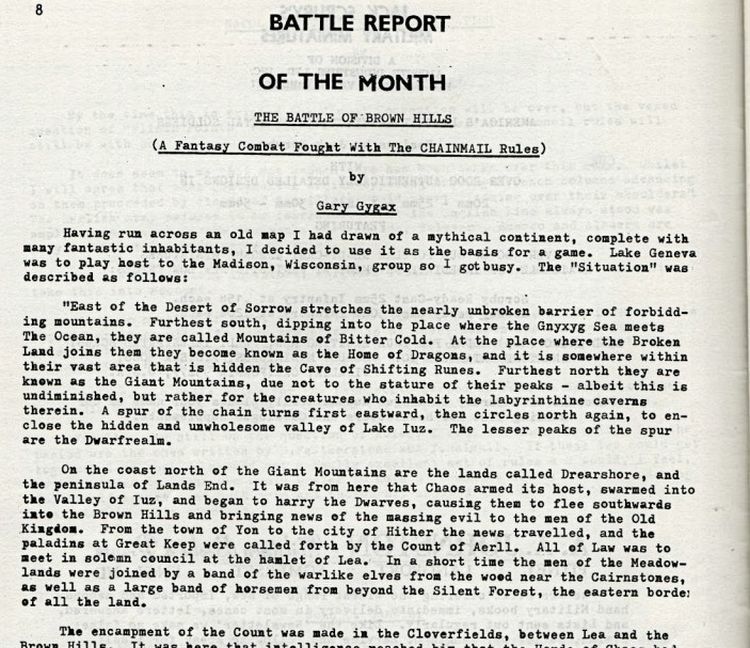 Finally, on Vintage Wargaming from 2012, a full look at "Battle of Brown Hills: early Chainmail Battle Report by Gary Gygax" here. And from the jazze1 YouTube channel, a video of a re-enactment of the event. Enjoy!